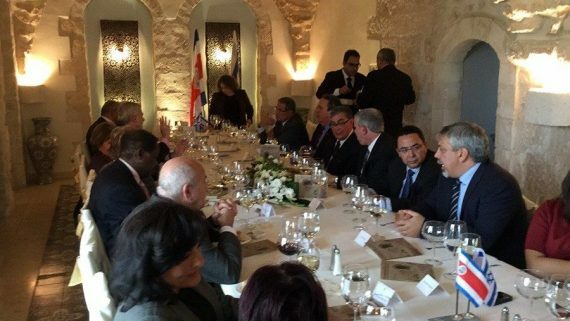 On Friday, November 21, 2014, a farewell breakfast in honor of H.E. 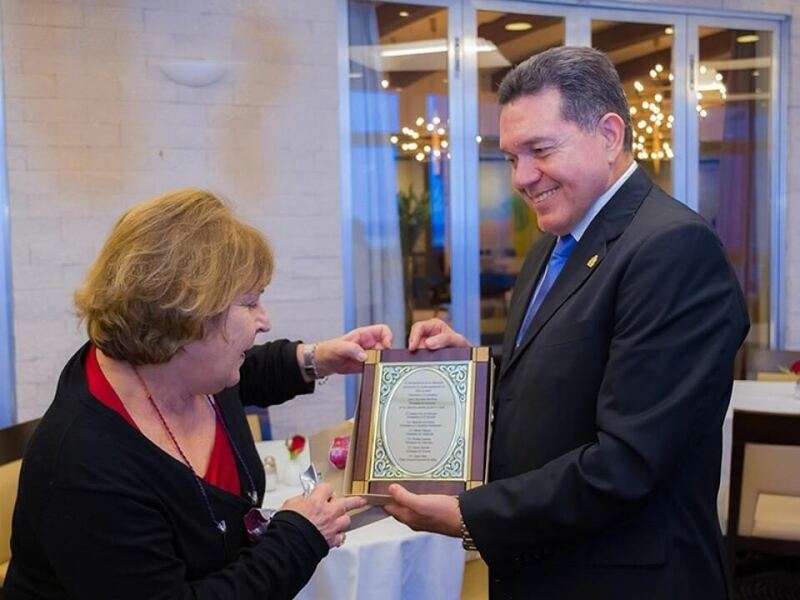 Jose Isaias Barahona, Ambassador of Honduras, was hosted at the Dan Accadia Hotel in Herzliya Pituach by Mr. Yoram Naor, Honorary Consul General of Belize in Israel. 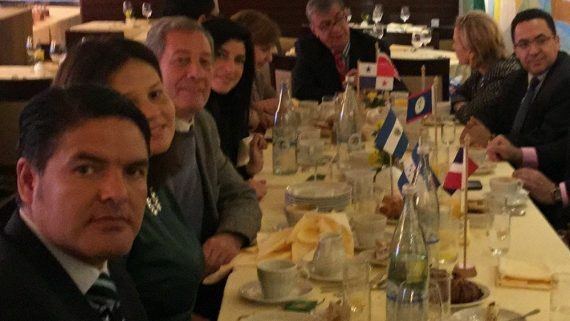 Fellow SICA members participated in the farewell breakfast. 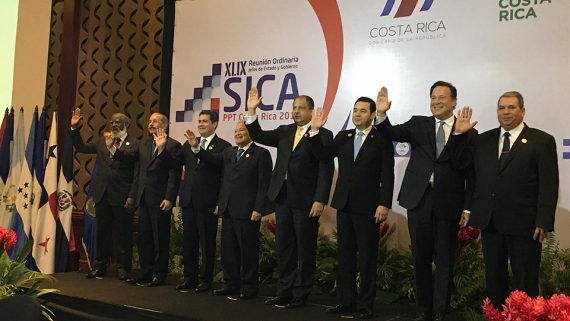 SICA is the Spanish acronym for Central American Integration System, an organization of Central American states for the advancement of regional peace, political freedom, democracy and economic development. 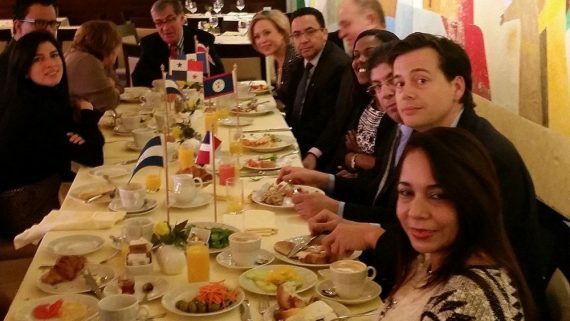 Present at the farewell breakfast were Mr. Yoram Naor, Honorary General Consul of Belize and president of SICA in Israel; H.E. Susana Gun de Hasenson, Ambassador of El Salvador; H.E. 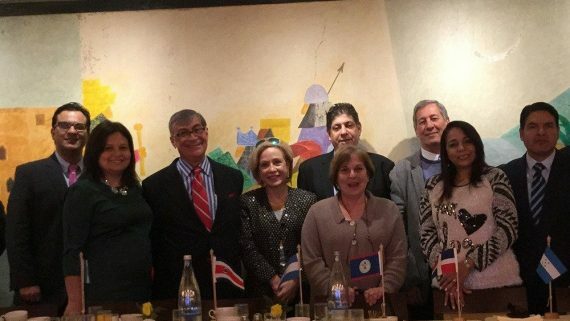 Hector Aparicio, Ambassador of Panama; Mrs. Fanny Velazquez Gonzalez, Deputy Chief of the Embassy of Costa Rica; Mrs. Marcela Santana Guerrero, Counselor and Charge of Consular Affairs of the Embassy of the Dominican Republic and Mr. Yitzhak Eldan, President of the Ambassadors’ Club of Israel. 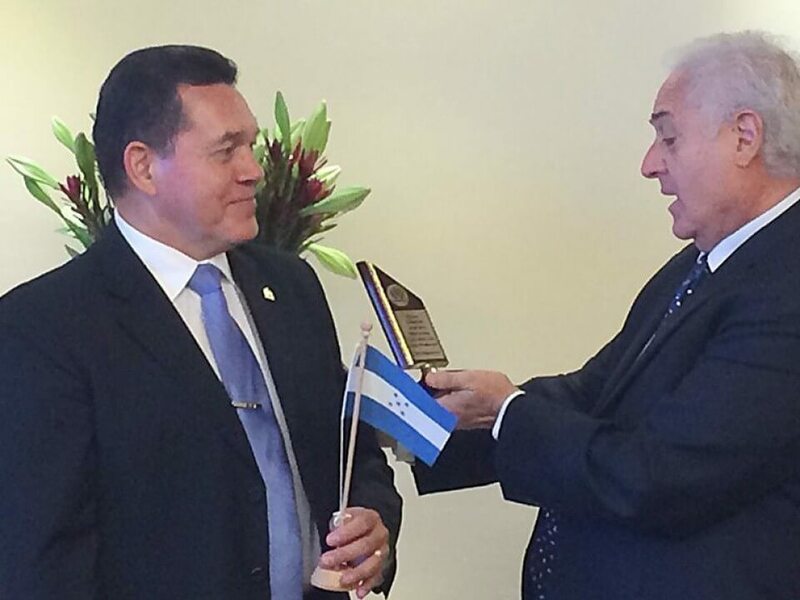 Mr. Eldan, on behalf of the Ambassadors’ Club of Israel, presented Ambassador Barahona with an award recognizing his contribution to better relations between Honduras and Israel. 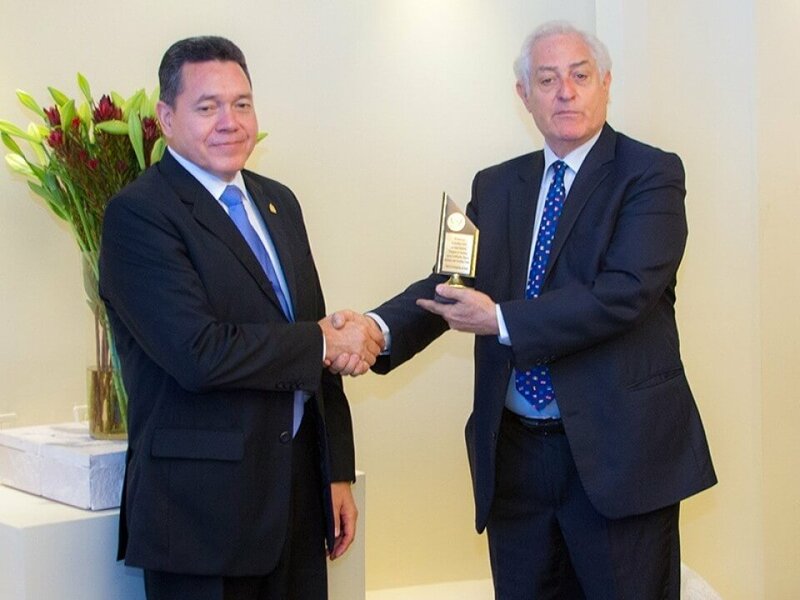 Mr. Naor, on behalf of SICA, presented Ambassador Barahona with an award recognizing his distinguished participation in the local SICA organization. 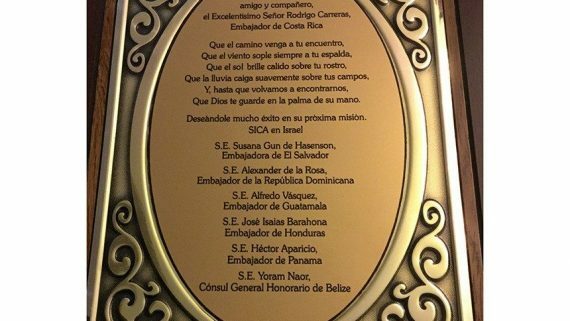 Ambassador Barahona returns to Honduras after four and a half years of service in Israel. 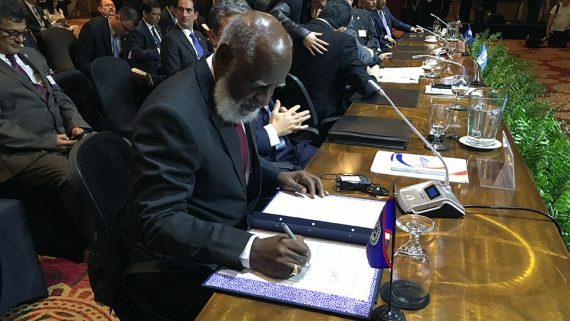 In his farewell statement the Ambassador highlighted achievements during his mission, such as the successful exchange and cooperation between Honduras and Israel in the areas of commerce, security, education, agriculture and technology, as well as the development of deeper understanding and the strengthening of political relations between the two countries. 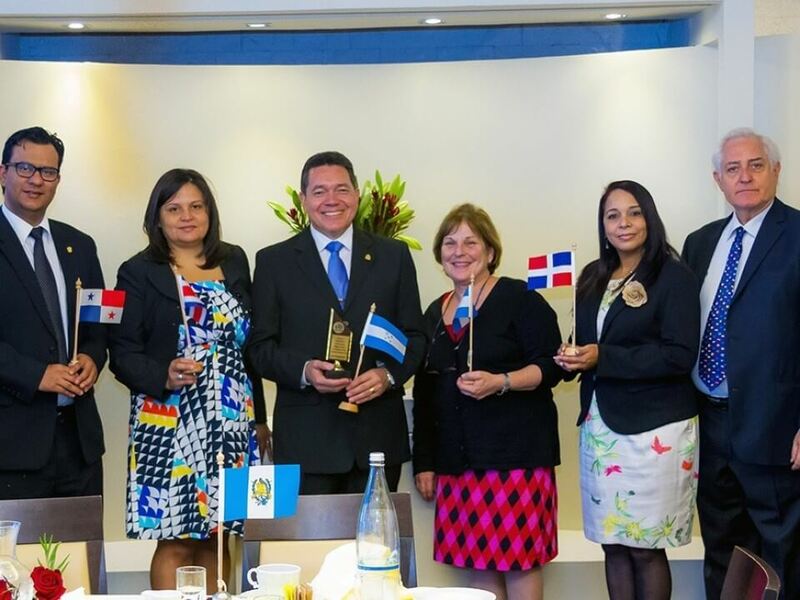 As of January 2015, Ambassador Barahona is staying in Israel to continue serving has Ambassador of Honduras to Israel.